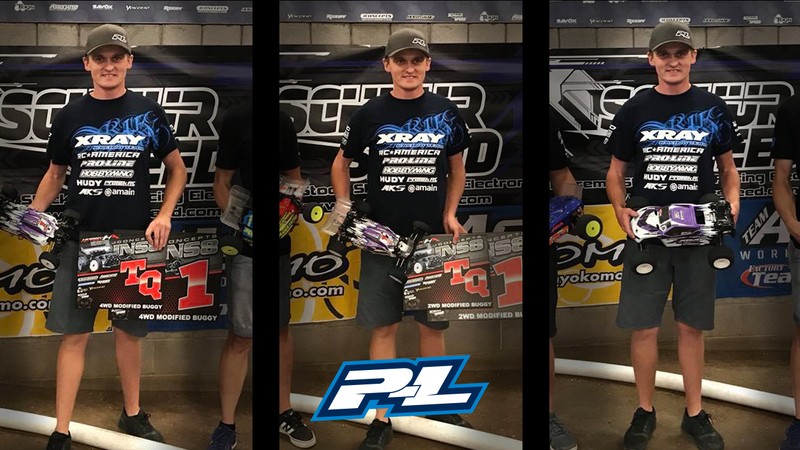 We attended the JConcepts INS Series Race at Hobby Action RC Raceway in Chandler, Arizona. The track layout was fast and flowing and developed small bumps which made it quite challenging, the water schedule was every hour for practice but then was changed to every 5 races which made seeding and qualifying very difficult if you happened to get a wet track. In practice my pace in all 3 vehicles I felt was very good and I had a lot of confidence going into the race. In 4wd I got a wet track for seeding, the track was quite loose and I only got in 3 laps when I slid off the track and the end of the straight and my car broke. This would put me 12th overall for seeding and in the B qualifier. In 2wd I seeded first and in truck, due to the fact that the INS series only runs 13.5 truck the organizers decided to run a Reedy race style exhibition class for mod truck, there would be 4 races and all 4 would count. 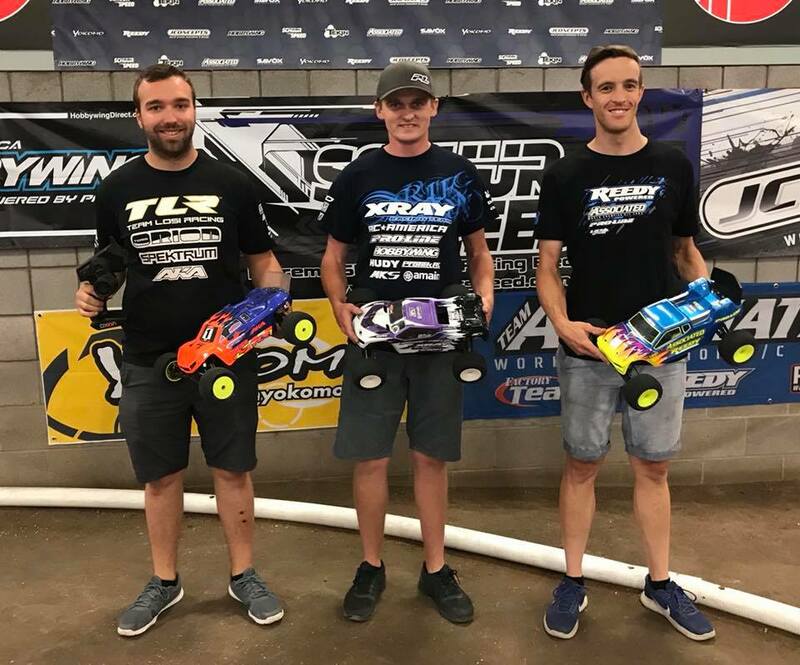 First round of qualifying in 4wd I would again get a wet track, I had to drive cautious and still made 2 mistakes but to my surprise I was still able to qualify second for the round. In 2wd my car felt really good in the first round and I was able to qualify 2nd. The next 2 rounds of 2wd and 4wd went extremely well and I was able to TQ both rounds in both classes which would give me TQ overall in both classes. 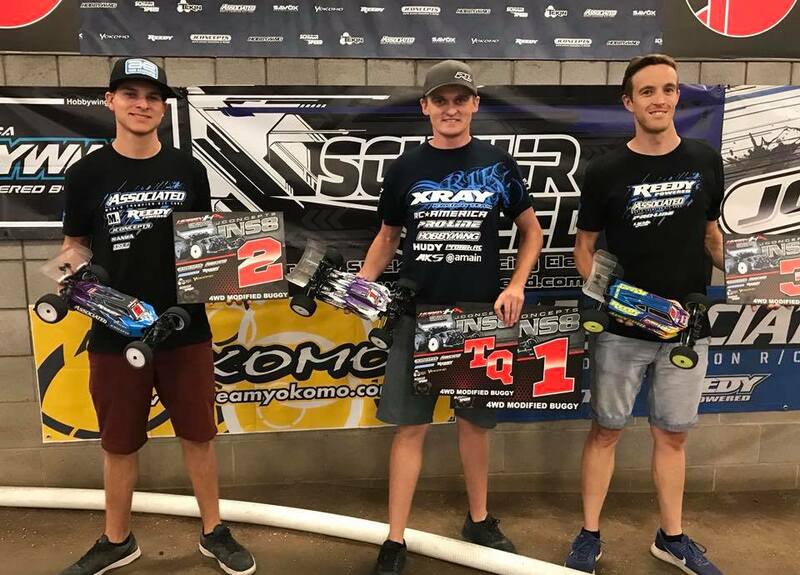 The 2WD and 4WD Mains went perfectly for me, I was able to get out in front and stretch out a lead, and I was able to win the first two A-Mains in both classes to give me the overall win in both classes. In truck the format was a little different, grid position was determined by 1 lap, fast lap, the fastest lap would start in front and the slowest lap would start in the rear. The first 2 rounds I would get the fastest lap and start at the front of the grid and would lead those 2 rounds start to finish to take the wins. Round 3 of truck I had the fastest lap again and started in front, I made a mistake on my own which allowed Dakotah to get ahead of me and had a good battle with him right until the end of the race but I was not able to get by and he beat me by 1 tenth of a second. In the 4th round of truck I again started in front with the fastest seeding lap, Dakotah was right on my back wing but I managed to stay ahead and take the win, which would give me the overall win in mod truck. The weekend went very well, it couldn’t have gone any better, all my equipment worked flawlessly as usual. 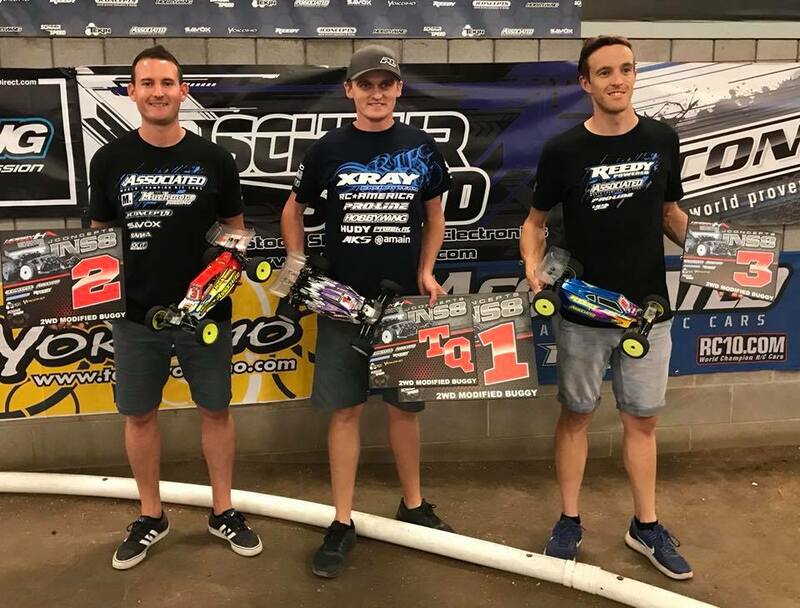 I want to thank the whole Xray team for the great work as a team, thanks to Tanner Stees and Tommy Hinz for doing their homework and getting us a really good starting setup for 2wd buggy, we are looking forward to the nationals in August. I would like to thank all my sponsors for giving me such great products to work with, Xray, RC America, Pro-Line, OS Engines, Hobbywing, MKS, VP Fuel, A Main Hobbies, Protek RC, Hudy, Lunsford, Avid, StickIt 1, Darkside Designs, 110% Racing, MR33, Live RC, Red RC. Thanks to my family for always being there for me and the amazing support, and most importantly I want to thank my my Lord and Saviour Jesus Christ, I wouldn’t be where I am today without him.